The identity of Andy Serkis' character in 'Star Wars: The Force Awakens' has been revealed. The 51-year-old British actor will appear in the role of Supreme Leader Snoke in the J.J. Abrams-directed movie, which is set for release later this year. 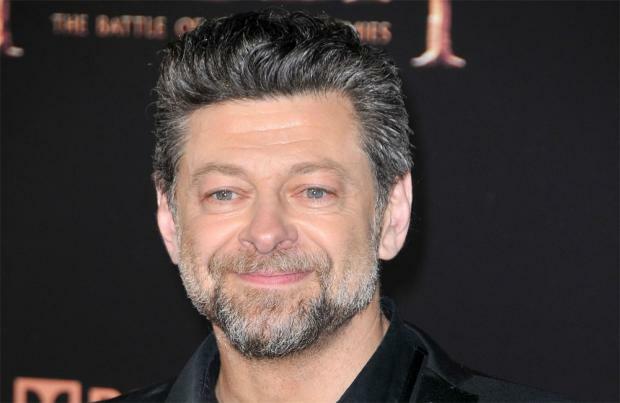 Although specific details of the film's plotline remain a closely-guarded secret, it's already been speculated that Serkis' on-screen character could be the villain in the much-anticipated sci-fi movie. News of Serkis' casting comes shortly after Oscar-winning actress Lupita Nyong'o said she is thrilled that she gets to appear as a "space cadet" in 'Star Wars: The Force Awakens'. The 32-year-old star revealed she'll realise a childhood dream when she appears as Maz Kanata - a pirate and galactic traveler - in the new movie. She shared: "I am super excited to be moving to another planet for a while. "As a child, I was always interested in make-believe. I was known to hide in closets and play with dolls while other kids were outside riding bikes." 'Star Wars: The Force Awakens' - which features cast members from the original series, such as Harrison Ford, Carrie Fisher and Mark Hamill - will debut in December.